Pulaski Heights United Methodist Church is pleased to announce our 2019 Raney Lecture Series on March 1-3 featuring the Rev. Dr. Sam Wells, Vicar of St. Martin-in-the-Fields, London, England. St. Martin’s Voices is an exciting and dynamic professional vocal ensemble primarily made up of talented past and present choral scholars. Pulaski Heights United Methodist Church is pleased to announce our 2019 Raney Lecture Series on March 1-3 featuring the Rev. Dr. Sam Wells, Vicar of St. Martin-in-the-Fields, London, England. Rev. Dr. Sam Wells is a preacher, pastor, writer, broadcaster, and theologian. He has served as a Church of England parish priest for 20 years. He also spent 7 years in North Carolina, where he was Dean of Duke University Chapel. 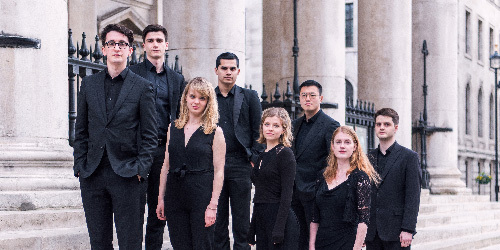 Saturday and Sunday services will include live performances from St. Martin’s Voices, an exciting and dynamic professional vocal ensemble, primarily made up of talented past and present choral scholars who come together to sing concerts and special events at St Martin-in-the-Fields and beyond. The Raney family invites you to be their guest at a luncheon honoring Rev. Dr. Sam Wells on Saturday, March 2nd following the 11 a.m. worship service in Wesley Hall. 7 p.m. with the St. Martin’s Voices. All remaining events for the series do not require a reservation. Childcare will be provided at all services March 1-3.